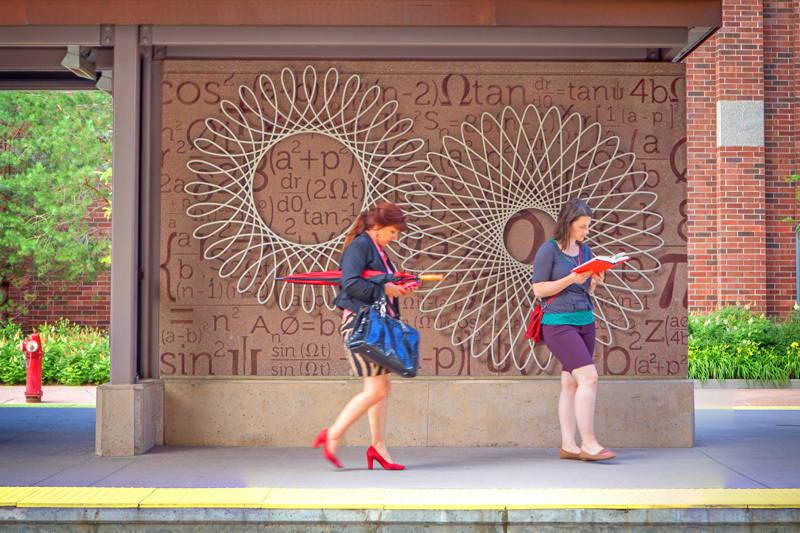 It has never been a secret that I am a lover of transit-based art. 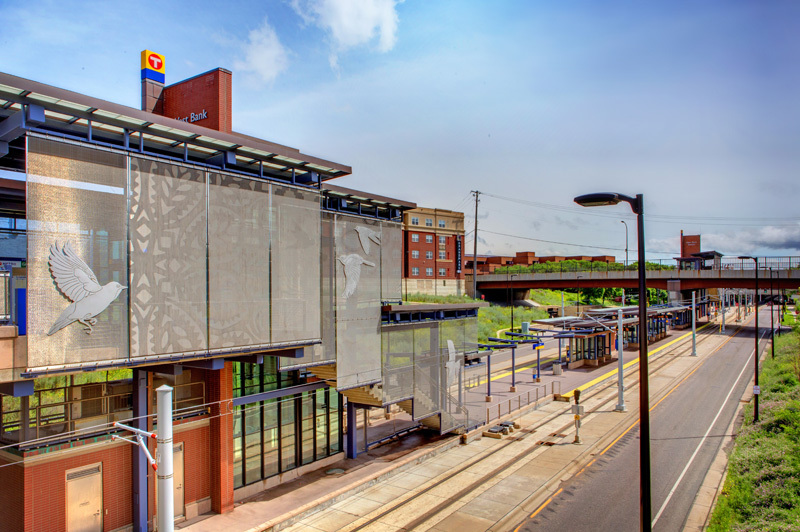 One of the reasons I enjoy the light rail in Minneapolis so much is due to the abundance of art. 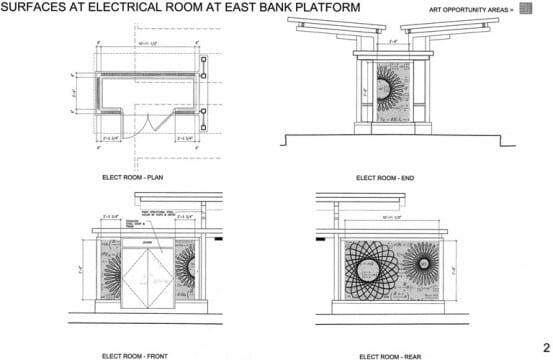 The system’s newest line, the Green Line, has two very cool stations that were designed by artist Nancy Blum (she actually did three, but the two I’ll feature today are arguably the nicest on the line). 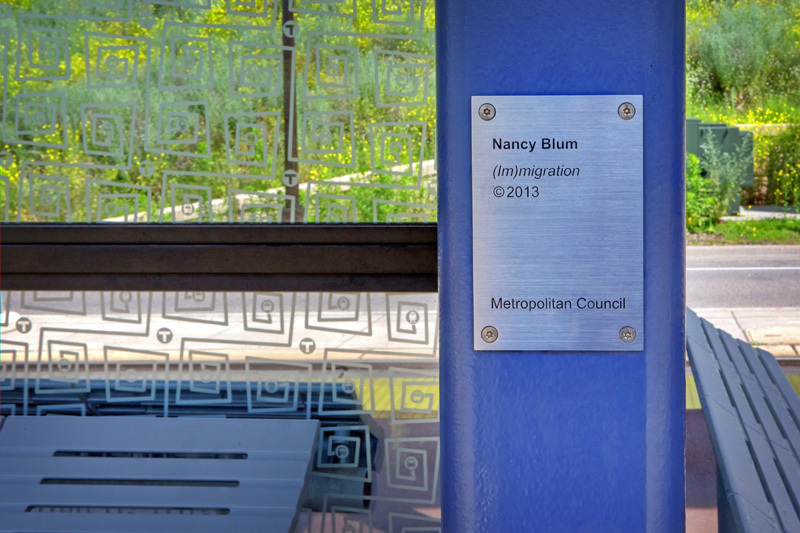 You may be familiar with Blum, as she’s been mentioned on this blog before. 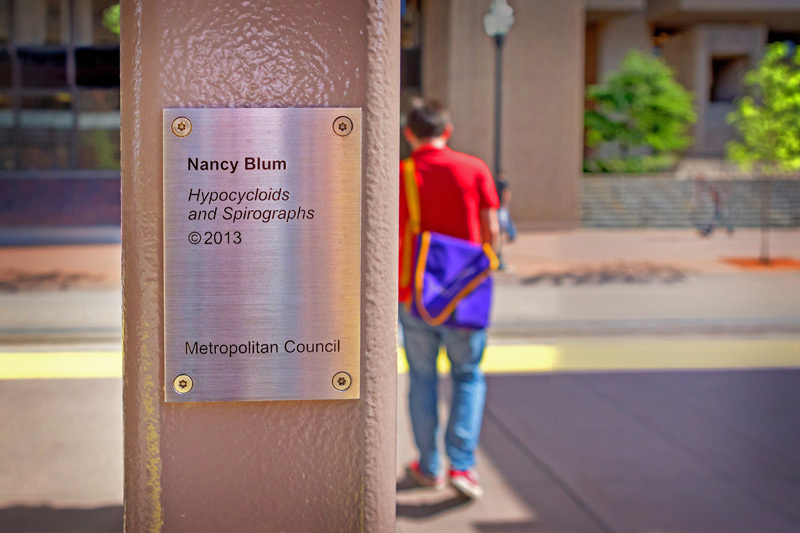 One of her previous public art installations can be found through the Arts for Transit program on our very own Hudson Line. 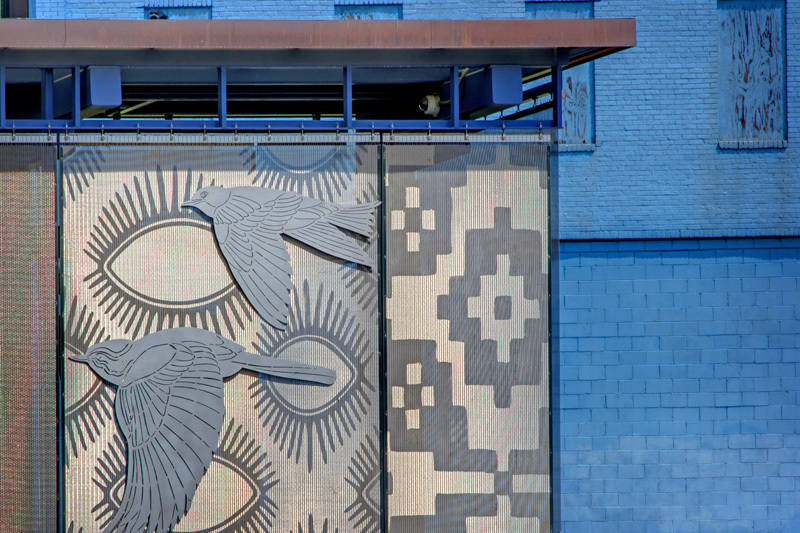 The mosaics at Dobbs Ferry station are her creation. 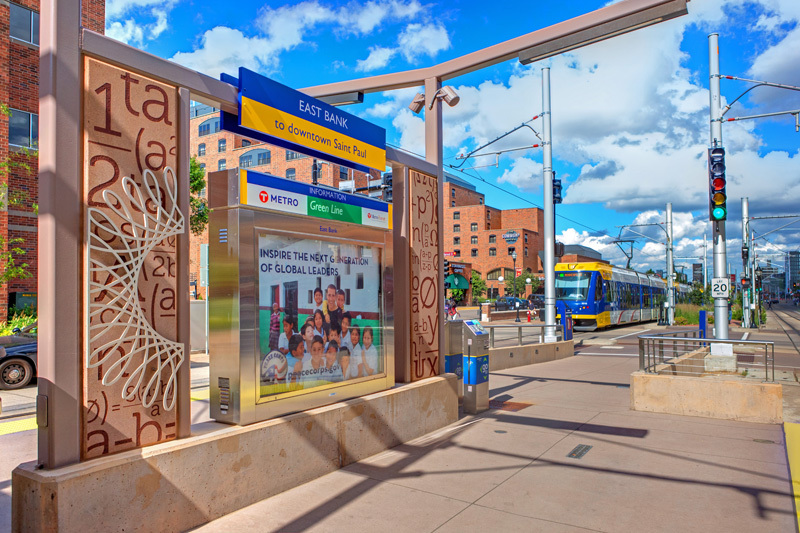 For her work in Minnesota, Blum designed work for the East Bank and West Bank stations, located on either side of the Mississippi River in Minneapolis. 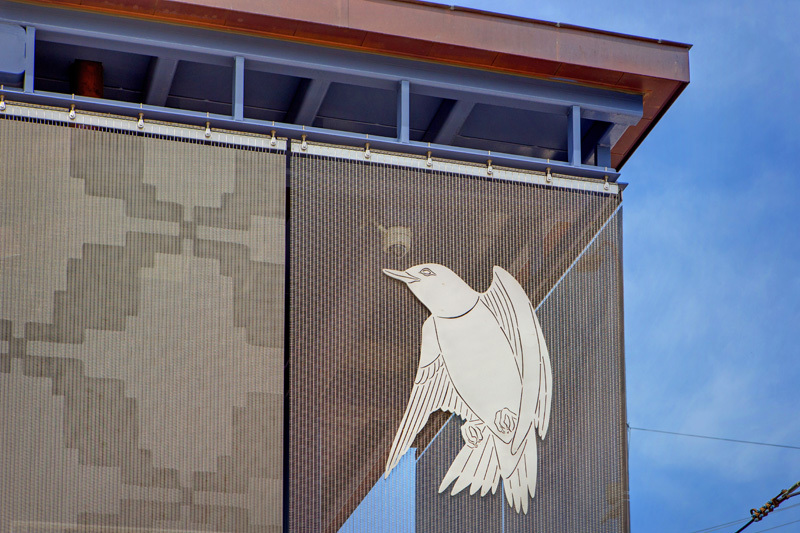 At West Bank you’ll find the work Immigration/Migration, which features birds fabricated out of stainless-steel, and wire mesh etched with patterns. 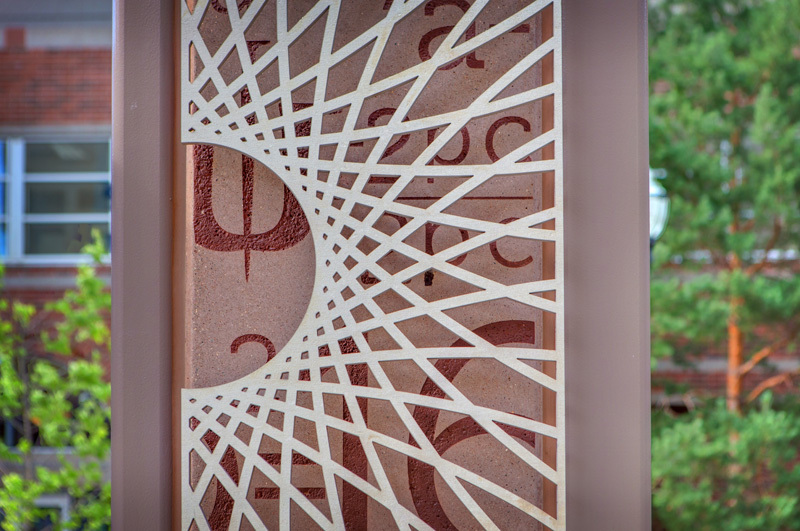 The etched mesh is certainly my favorite, as it is extremely subtle. 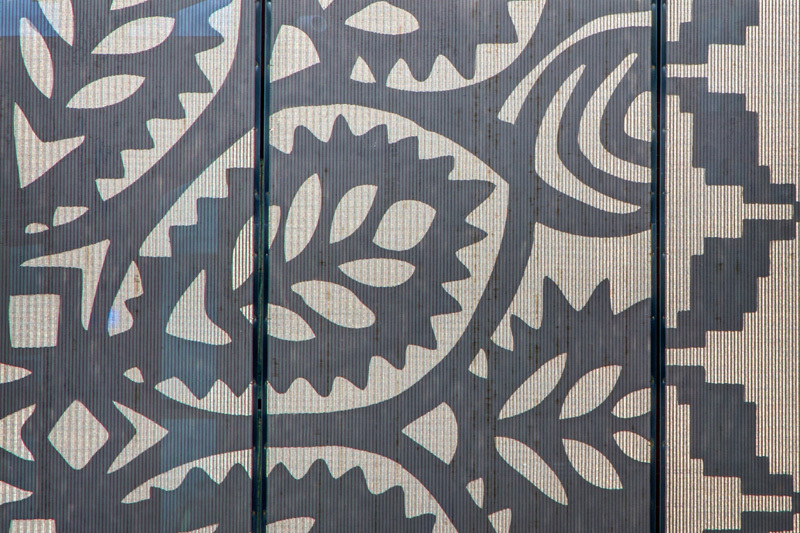 The patterns are just barely visible under normal light, but when direct sun rays hit the mesh, the pattern is extremely bright and really shines. 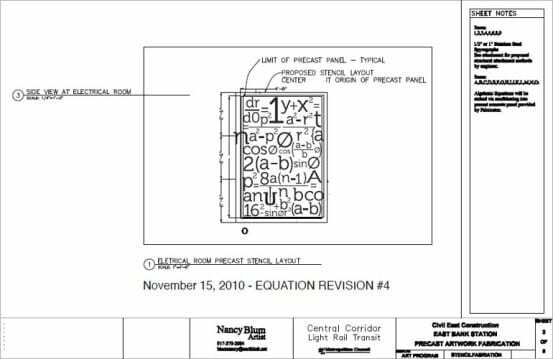 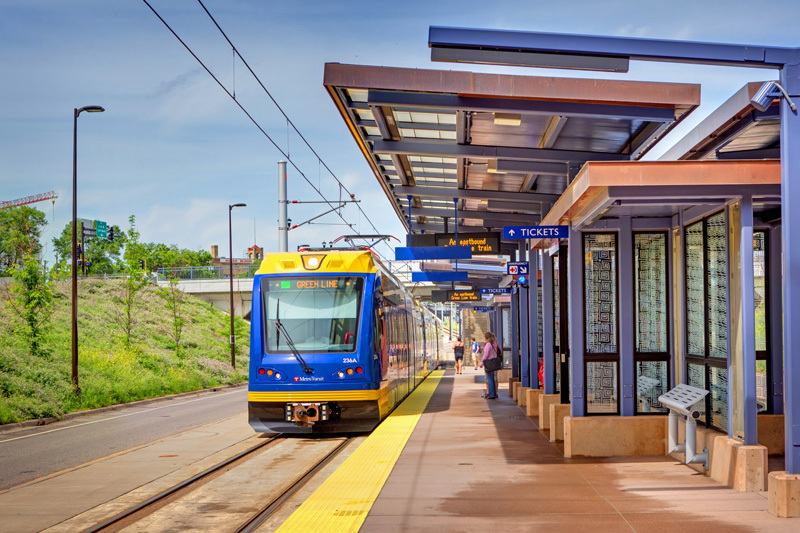 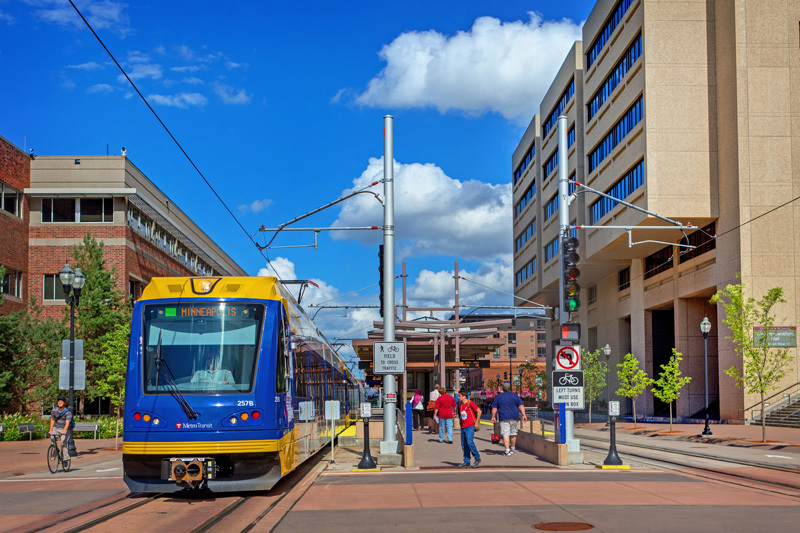 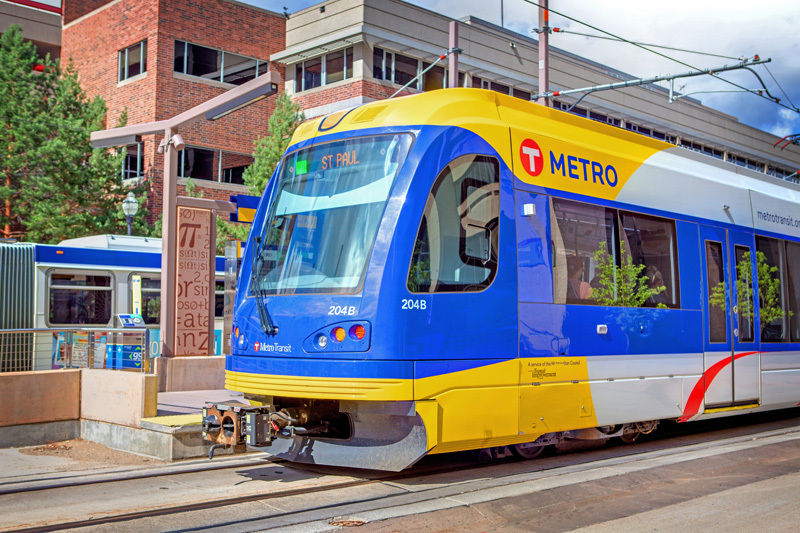 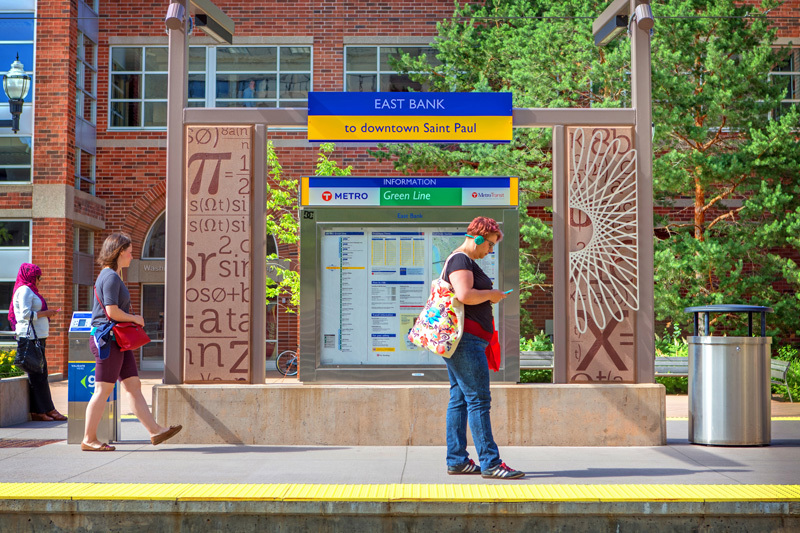 For the East Bank station, Blum’s art reflects mathematical formulas – referencing the station’s proximity to the University of Minnesota’s main campus. 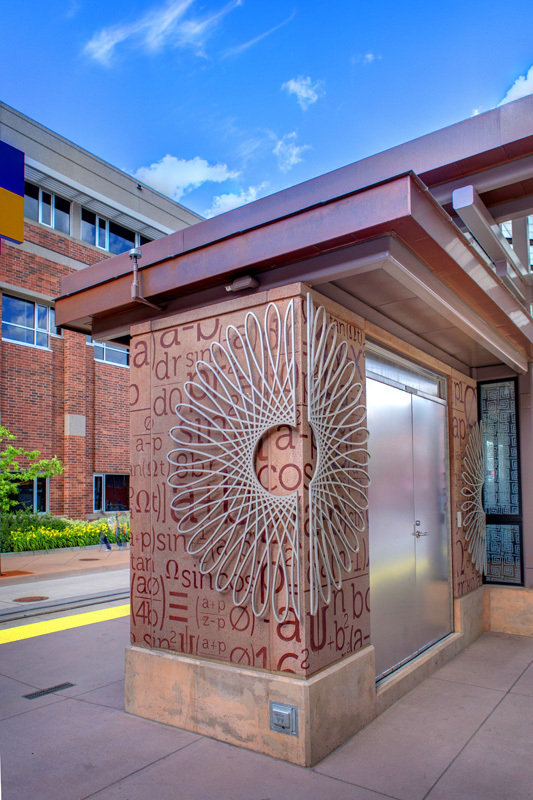 The formulas are sandblasted into concrete, and hypocycloids cut out of stainless steel mounted above. 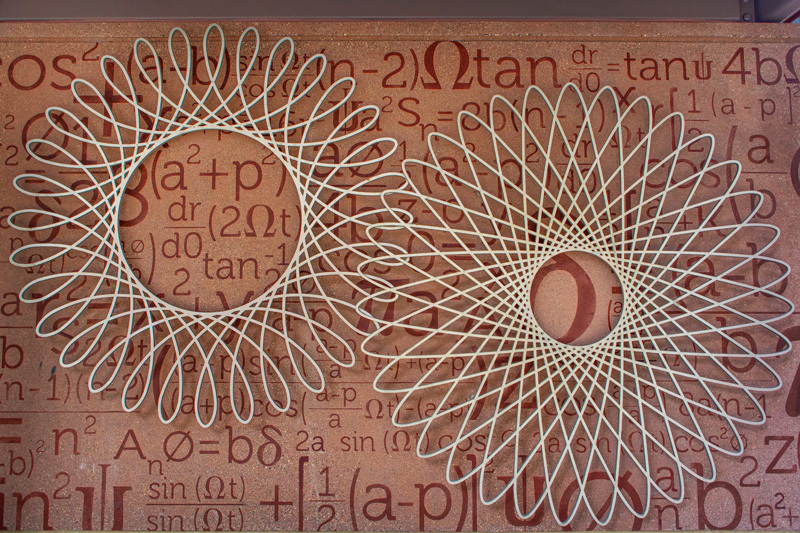 The effect is both interesting and attractive. 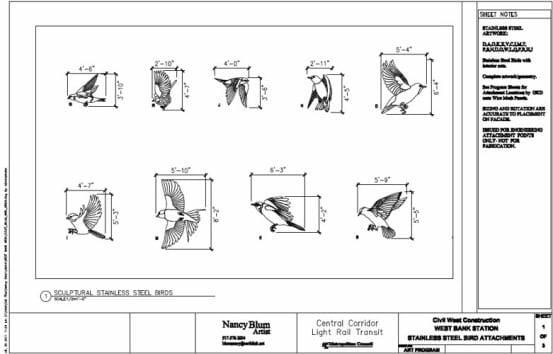 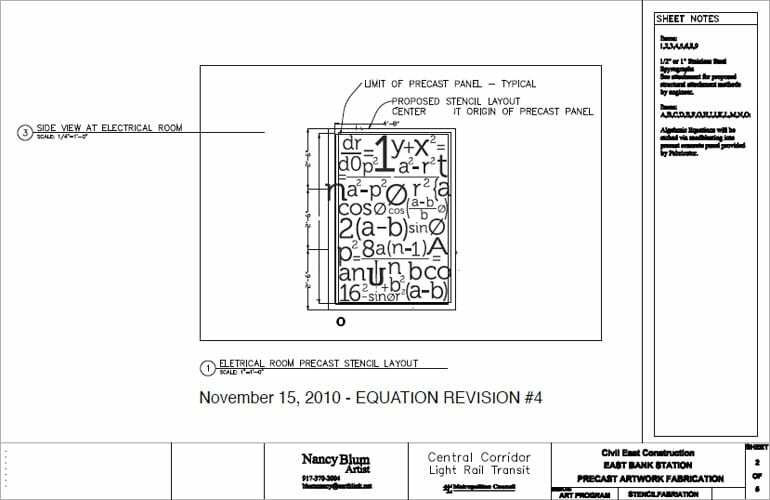 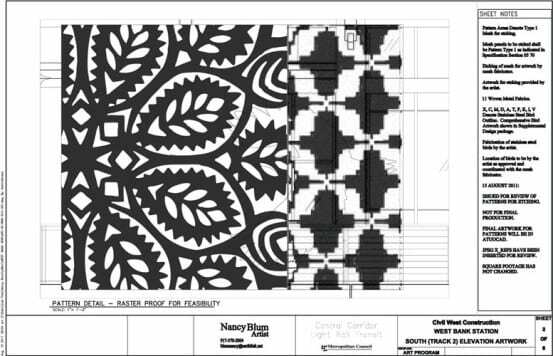 Art plans from the website of artist Nancy Blum. 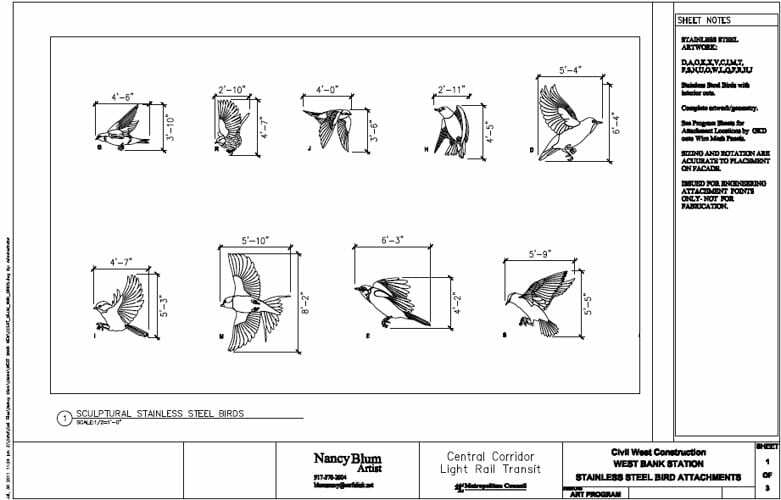 Anyway, that is it for today’s quick post. 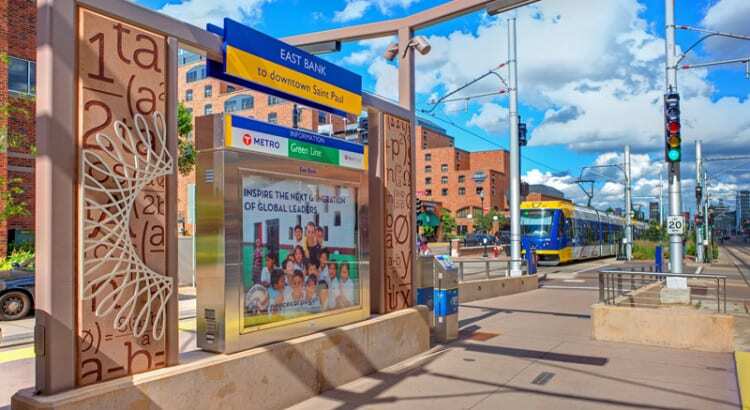 If you’re interested in checking out some of the other transit based art we’ve featured here, be sure to have a look at our Arts for Transit tag.